You might expect to pay an enormous sum to have your bathtub reglazed or any other, such as tile or sink completely restored. 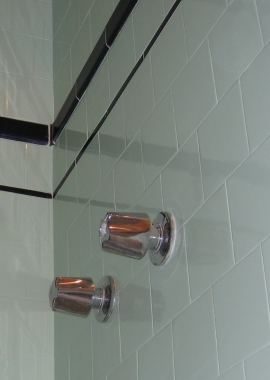 If you've ever considered replacing your existing fixtures, you know how expensive that can be. You might also expect to be without the use of your bathroom for days or even weeks with standard construction or remodeling. Not with Top Refinishing: your newly refinished bathtub or tile is ready to use in 48 hours as standard service, or 24 hours if requested. Our service is perfect for people who have a limited budget and/or need a fast turnaround. Top Refinishing uses only top quality materials and equipment. Our glaze is made of top of the line materials, so we can offer a 5-year limited warranty. Our reglazing materials are less harmful to the environment as it has lower amounts of Volatile Organic Compounds (VOC) than other reglazing products (so less pollution) and, our reglazing material contains absolutely no Free Isocyanates (a known carcinogen). Though the ordinary dry time is 48-hours, we have a substance that can be added to the regalzing product to speed up the dry-time. Because of this, we can offer you 24 hour or even 3 hour drying alternatives. We only use the most efficient High Volume / Low Pressure spray equipment which does not create unnecessary air pollution nor does it create overspray which flows backwards onto the freshly reglazed areas as some other spray equipment may do. We bring a portable exhaust ventilation or fume extractor system to each jobsite to expel the fumes to the outdoors during the spraying. 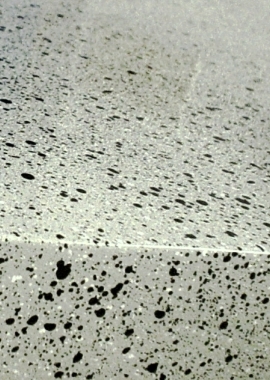 We don't cut corners in our process, use old technology, epoxy coatings or car paint. We use appropriate ventilation equipment to remove the vapors and prepare the surface properly before reglazing. 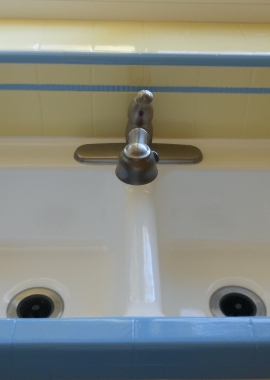 For more than a decade, Top Refinishing has been serving commercial and residential customers in the Southern California giving sparkling new life to old, worn and stained bathtubs, tile and other porcelain fixtures. Many families and businesses throughout the Greater Los Angeles already know firsthand the quality and beauty of the Top Refinishing system. Top Refinishing is fully licensed and insured. Moreover, our technicians are employees, not subcontractors. Did you know that if you hire a company to reglaze your bathtub, shower, tile, sink, or countertops that you, the property owner, can be held financially responsible if something goes wrong? Just because someone offers you a lower price, that does not mean you will end up paying less. You could end up paying far more than you bargained for. If the fixture we reglazed starts to peel on its own during the guaranteed time, we will return to the jobsite and fix the problem. Our clear records of every job plus our expertise can pinpoint if and when we did the job, under what circumstances, and most importantly, the reason for damage or failure. You can rest assured we will be there when and if you need us to stand by our work that is under warranty. We have a large number of customers, spanning the 10+ years we’ve been in business, who can speak about the quality and trustworthiness of our work and our customer care. When we set an appointment with you, we arrive on time and we deliver the service you ordered. We communicate with you as frequently as needed to insure that the job is going smoothly. Our technicians take pride in performing a professional job. They take care of your property by doing a methodical set up, protecting your belongings with tarps and masking tape and paper from unwanted overspray. At the end, they clean up by taking out the debris they created during their work. Our field staff and office staff are composed of knowledgeable, experienced, and courteous people, who handle their interactions with transparency.Our objective is to meet and exceed our customers’ expectations. It is not rare for us to go the extra mile and then some! 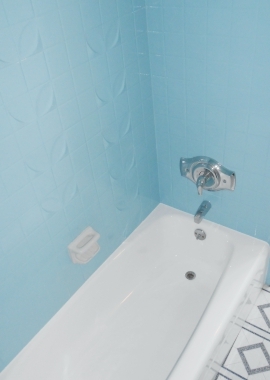 For more information about our bathtub reglazing, or any other service offered by Top Refinishing, please fill out our online Contact Form, and one of our friendly representatives will quickly respond to any questions you might have.